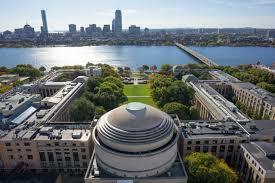 MIT joins a growing list that have stopped collaboration with Huawei since the US government accused the company of intellectual property theft and breaking US sanctions on Iran. Oxford, Stanford, and University of California at San Diego have also suspended research ties with the company. The new process would take extra caution considering international proposals that were deemed "elevated risk," particularly when they related to intellectual property, data and security access, national security, and human rights. "Engagements with China, Russia and Saudi Arabia merit additional faculty and administrative review beyond the usual evaluations."